CHAMPAIGN, Ill. (June 13, 2016) – RK Dixon, a leading provider of copiers, printers, IT services, managed print services and pure drinking water systems, is inviting Springfield and Champaign area non-profits to enter the Make My Non-Profit Run Better contest for a chance to win a portion of $60,000 in office technology prizes. The contest – now in its 11th year – is designed to ease the challenges of operating a non-profit organization and give groups the opportunity to focus more exclusively on their mission and the people they serve. A change from previous years’ contest is that this year’s contest will focus exclusively on the Springfield/Champaign region. “By concentrating on a smaller region, we will be able to increase the overall prize allocation and make a more dramatic impact for these organizations,” said Dixon. Non-profit organizations in Cass, Champaign, Christian, Coles, Cumberland, Dewitt, Douglas, Edgar, Effingham, Ford, Iroquois, Logan, Macon, Menard, Morgan, Moultrie, Piatt, Sangamon, Shelby and Vermilion counties are eligible to participate in the contest. Also new this year are “large” and “small” non-profit categories that will create a more level playing ground among all the registered groups. At stake are office technology makeovers and equipment packages that are designed to make the non-profits run better and – as a result – enhance their ability to focus on their mission. The first prize winner in the “large” non-profit category will receive an office technology makeover valued at up to $30,000. The second prize winner will receive an equipment package valued at up to $10,000. The first prize winner in the “small” non-profit category will receive an office technology makeover valued at up to $15,000. The second prize winner will receive an equipment package valued at up to $5,000. Last year’s Make My Non-Profit Run Better contest awarded Special Olympics Iowa a $15,000 office technology makeover. The Foster Pet Outreach, based in Edwards, Ill., was named the runner-up, and received a $10,000 multi-function device. Registration for the contest opens today at www.MMNPRB.com and will close at 5 p.m. on July 8. 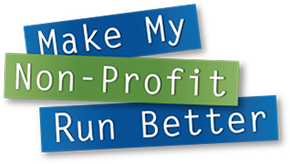 Round 2 voting begins on July 11 when the public will be invited to vote online for the non-profit with the biggest need for an office technology makeover.